It wasn’t that Emily and Cooper Heston felt they had no choice. It’s just that for them the choice was obvious. When Riley Newby—Cooper’s grandfather—passed away, they decided to make his Falling Waters Lodge their own. 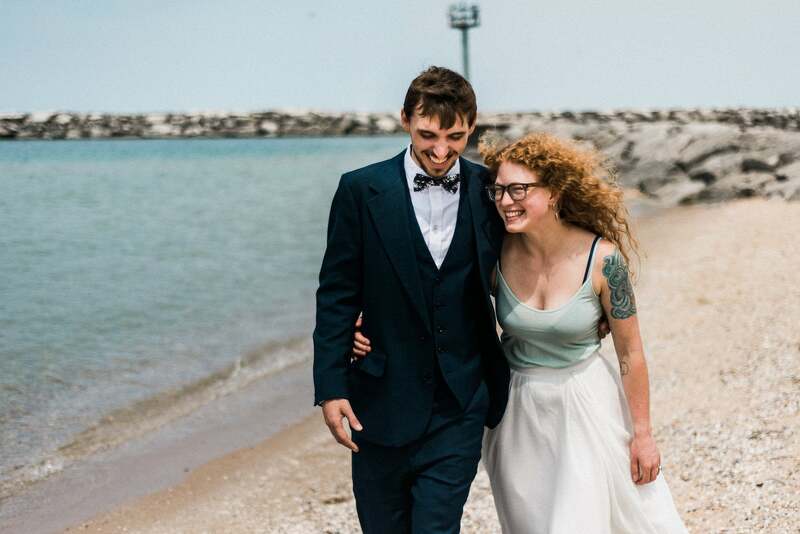 The couple had years of experience working at the Leland landmark, and they couldn’t bear the thought of someone else taking over their baby. So the couple decided to keep it in the family and purchased the lodge from Newby’s children, Cooper’s mom and uncle. “Cooper spent high school summers working there. When we started dating I spent summers there too,” Emily says. They had been managing it for the past couple years and knew the ins and outs of the facility and the business. “We had intimate knowledge of the building, the guests, the area,” Emily says. That’s served them well. While they may be the owners, they are very much hands-on. Cooper is the GM, but also fills the Coke machine and does recycling. Emily is in charge of housekeeping, whether that’s overseeing staff or making beds herself. “We’re still prepared to clean toilets or whatever,” she says. They both dived into refurbishing the lodge after buying it last year. They closed on the purchase March 30, 2017, and opened in mid-May. In between, they ripped out carpet and replaced floors, updated furnishings and installed a wifi system that works throughout the property. They took time out in June to get married at Shady Trails Camp in Northport. For their honeymoon, they went to—Falling Waters Lodge. Family and friends filled the lodge, which was far from finished. “We married while renovating,” Emily says. They didn’t stop there, with a new deck complete with aluminum and black posts. 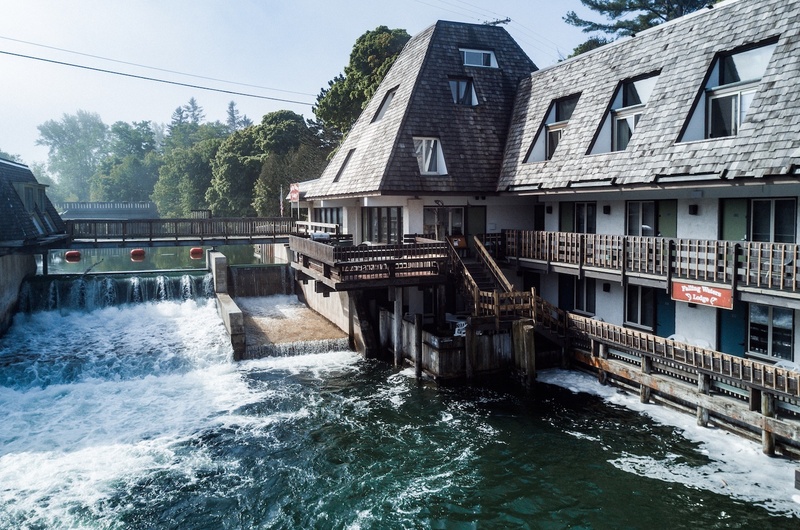 Glass panels are replacing the old railings, providing an unobstructed and safer view of the rushing waters of the Leland River as it heads to Lake Michigan. Heston says the lodge’s location is perfect for those looking for a getaway to Northern Michigan. 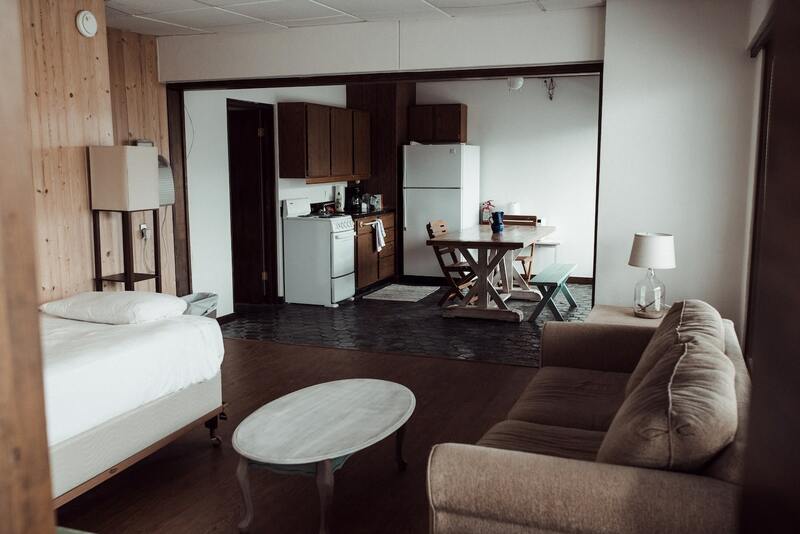 It’s in the heart of Leland, and all but two rooms have water views. “You can fish off the balconies,” she says, almost wonderingly.